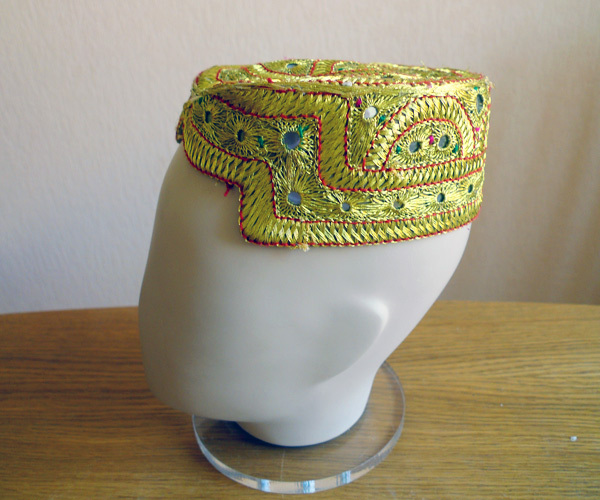 The magnificent in its beauty and gold embroidery traditional cap of the Sindhi people living in India and Pakistan, was purchased in the Serbian part of Belgrade. 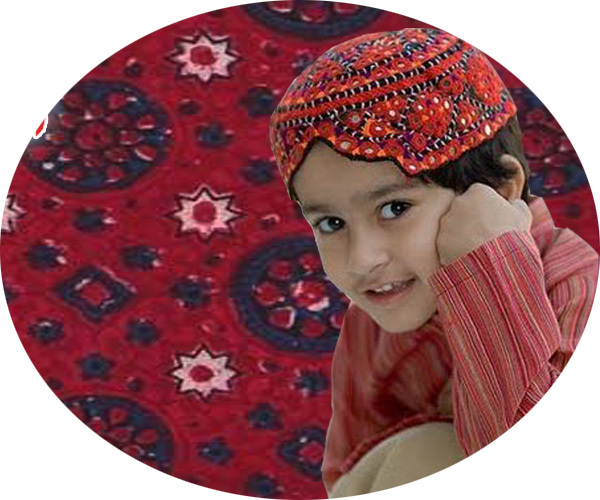 Its ethnicity is doubtless: a kind of a cut-out opening the forehead, is a characteristic feature of the sindhi-topi, the Sindhi are very proud of it (so much that in Pakistan they even have a holiday of the thopi hats ). 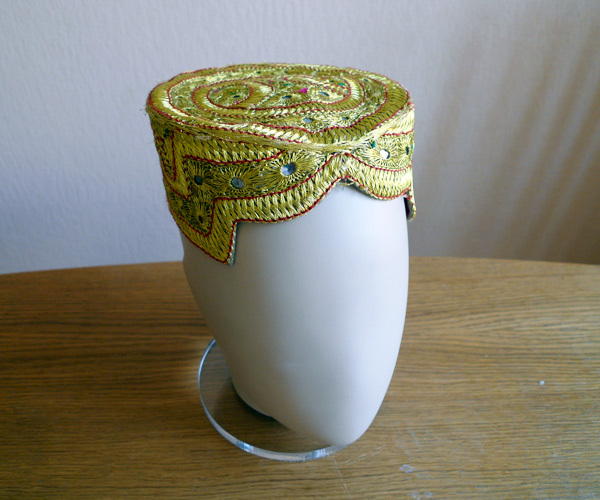 The sindhi-topi have a tradition of presenting it to their very special guests, perhaps it was this way how the brightly decorated headwear got to Turkey as a souvenir and then to the Balkans. This headwear has been accepted by other peoples of Afghanistan and Pakistan, mostly by the Baluchis and the Seraiki.